Intranet Software for effective communication to your employees. Software is off the shelf or customised to suit your unique needs. Intranet and extranet systems that aid in the management of your processes and workflows. The Intranet solutions are customisable to suit clients exact Management needs. The Management Software can handle incoming requests and online forms and manage complex process flows including integration to other systems, calendaring, bookings, generating emails, generating PDF documents, quotations, invoices, document verifications, meetings preparation, and a lot more. Communication software on the Intranet can provide information to employees, engage employees with polls, competitions, surveys, discussion groups, etc. 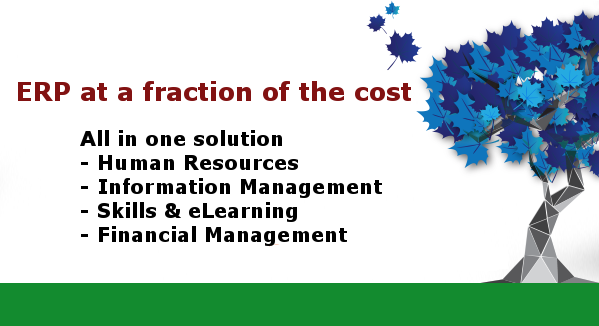 Human Resource Software to record various information in HR requirements. Buy off the shelf, or Intoweb will customise their software to suit your unique needs. You only need to purchase the modules you require, Intoweb can integrate with other third party systems to either feed or pull information. Convert your paper based and Excel based financial activities to a more efficient Intranet platform. Time savings can be massive and process flow management ensure quality and retaining data integrity. Our Financial Systems assists with the management of all the financial processes within your company. The systems also offer comprehensive reporting. The management of the learning process is made so much easier by online learning - whether your business is a college or just a company wishing to train up employees. The software comes complete with automatic grading. For the students or employees, there is an online learning system with online course content, online exams and tests. For the employee or Lecturer, setting up any type of exam and course content to suite the need of the course.